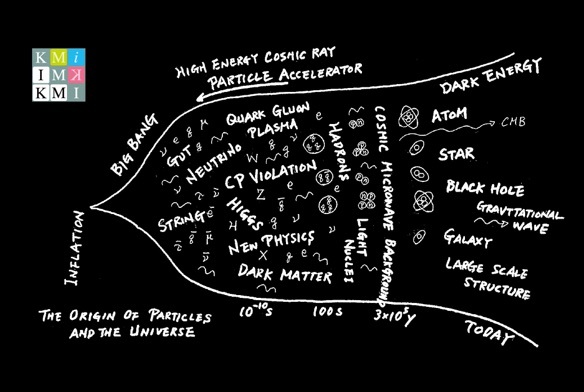 What is the origin of matter and the universe? KMI tries to answer the big questions of all time; What is the universe made of? What is the origin of the space-time? How did physical matter come about? And is there an ultimate law governing the universe? Researchers at KMI explore new frontiers in modern physics by revealing the mysteries of elementary particles and the universe.